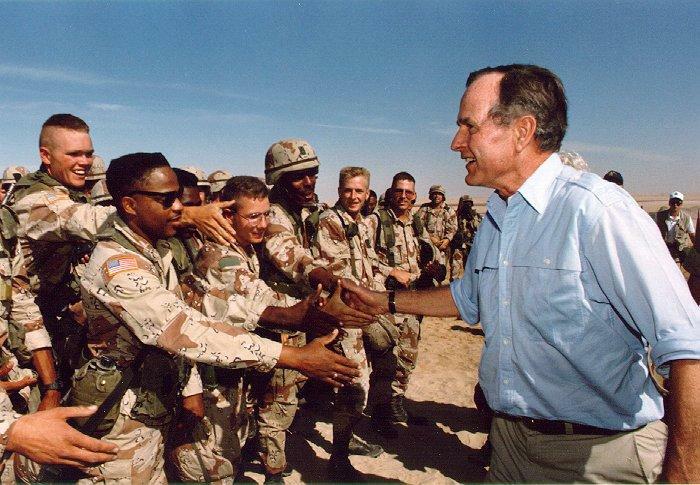 During "Desert Storm," America intervened to liberate Kuwait, which had been invaded by Iraq. Boris Yeltsin became Russia's first president six months prior to the dissolution of the Soviet Union. Congress responded by issuing $500 million dollars in aid. 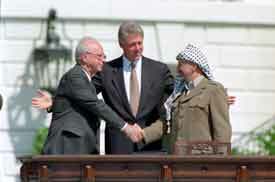 President Clinton served as mediator for Israel and Palestine during negotiations for the Oslo Accords, which suggested interim blueprints for Palestinian governance and plans to redeploy Israeli soldiers. Hillary Clinton promoted her plan for universal healthcare coverage to Congress and around the country. 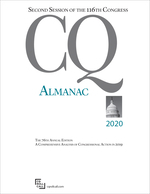 Following the Republican loss of the White House in 1992, the party gained control of Congress in the mid-term elections of 1993 running on a new set of policies called the "Contract with America." Congress reauthorized the major federal program for AIDS relief. President Clinton was impeached by the House following revelations of an affair with a White House intern. The subsequent vote in the Senate fell short of conviction.